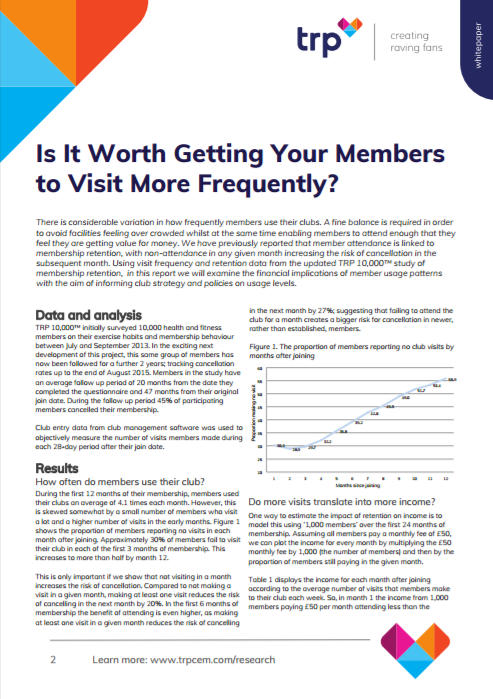 What proportion of members don’t make a club visit within their first months of membership? What impact does this have on their likeliness to remain a member in the medium to long term? Does getting your members to visit more often increase their length of membership and therefore the revenue they bring to your club?